Check out all the webisodes and bonus material for Season 1! 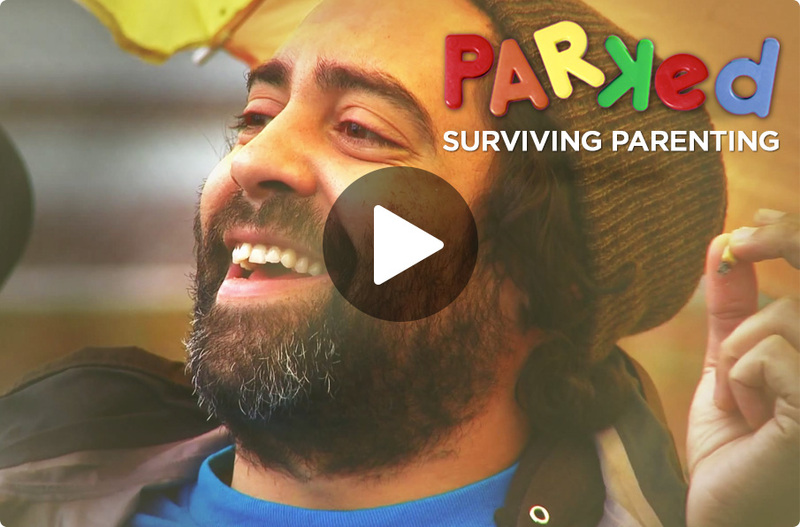 PARKED is a comedy web series that follows a group of long-time west coast friends in their early 30’s as they wrestle with what it means to be dads, husbands and men when life does not turn out as expected. Tim (Kirby Morrow), Jesse (David Lewis), and Davinder (Sean Amsing) are fathers who hang out with their still single buddy Josh (Matty Granger) while taking care of their kids and finding ways to amuse themselves (spending countless hours in their local park). The women in their lives – Jenn (S. Siobhan McCarthy), Kim (Julia Benson), and Christine (Sonja Bennett) – are the breadwinners with the men finding themselves in the non-traditional roles of single fathers or stay-at-home dads. Josh often feels left behind as the one non-dad in the group but all four men are each in their own way trying to figure out how to face what their lives have become and how to get it into gear once more. In other words, how to not end up parked here…forever.